It was a typical Saturday afternoon when I looked up from where I was working on the tractor tire to see Carl, dressed all in camouflage, come in to my shed with a serious look on his face. “I need your help” he said seriously as he pulled a bloody shred of something out of his coveralls pocket and thrust it in my general direction meaningfully. I took the tidbit trepidatiously and saw that it was two strands of bloody fat, each about three inches long… very strange item to have in one’s pockets. I noticed that Carl was now looking at me hopefully, which was a welcome relief from all of the meaningful seriousness that I had been confronted with earlier. “Well, what do you need?” I asked handing him back his fat. “I need you to help me track this deer!” he exclaimed as if I were simple. Well, Carl had shot this huge buck, he said, and had found lots of blood and these two strands of fat. He had followed the blood for a distance of maybe a quarter of a mile and it had diminished and finally petered out. He had fallen asleep in his blind and had awoken to find this deer standing about twenty yards away and with it’s rear end towards him looking towards some does standing on a distant hillside. He had taken a quick shot with a Barrett crossbow equipped with carbon fiber bolts and Zwickey broad-heads. The fat told me the story. It was fall and the fields were ripe with corn and beans. The fat was rib fat, (I knew this from having butchered several hundred deer over the years). The reason the blood trail stopped was because the superficial wound had dried up… I wasn’t about to track that deer until he died of old age! I only tell this story to introduce you to an aspect of hunting that is very important to any sportsman, hunter, survivalist, or prepper; that of reading sign. And in this instance, reading sign left by wounded game. So over the next several entries, let’s discuss tracking methods that will help you find the game you have lethally wounded, and disregard those you have merely inconvenienced… stay tuned. Flecktarn is a term derived from two German words, Fleck and Tarnung, which mean speckled and camouflaged respectively. This pattern was developed by German engineers in the 1970’s and replaced the more floral pattern of Germany that was popular during WWII. 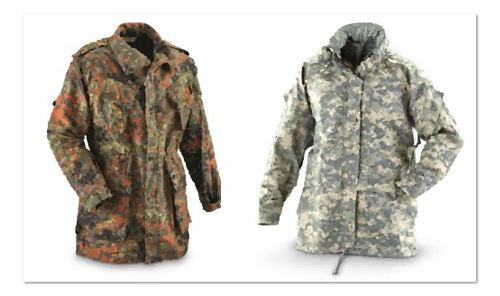 What’s interesting is the comparison of modern American military digital camouflage, adopted in 1992, to its European counterpart. Brushstroke. Developed by British during WWII using large brushes to paint different swaths of colour over their khakis before jumping into enemy territory. Tigerstripe. Very similar to brushstroke and popularized in the jungle warfare experienced in Vietnam, these cammies were highly sought after but rare, being used mostly by elite special forces and supply clerks. Duck Hunter. Used mainly by US Marines fighting the Japanese in the Pacific Theatre of WWII. This style became popular amongst American outdoorsman and was prolific in early department megastores like K-mart. Engineer Research and Development Lab, (ERDL). This pattern was much like the Duck Hunter pattern in the fact that it was popular with hunters. Woodland Camo. This was by the far the most popular of all of the camouflage patterns, at least until the early 2000s when the digital camouflage came on the scene. The end result of all of this has culminated in the modern American digital camouflage. The United States Marine Corps was the first military branch to adopt the micro-pattern camouflage, finding that the small dot pattern was more inherent to camouflaging than any of the larger pattern, blob style patterns. And in the end, even though the German style of Flecktarn is stylish, sporty, and sustainable, it is not as effective at hiding you in the bushes as is the American digital pattern. This is now the second Holiday season with the Trumps in the Whitehouse, and according to sources, they have gone all out to celebrate the upcoming festivities. Though the Trumps have been the source of much mockery in the media, the president and first lady are definitely two people who don’t do anything halfway. 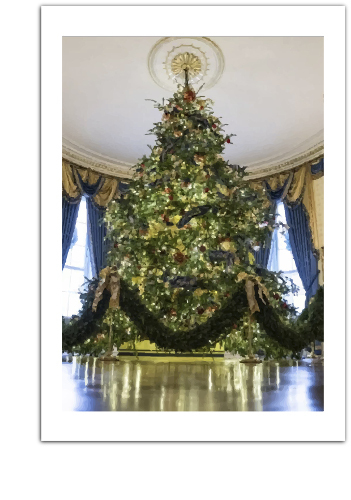 This rings true in regards to holiday decorations as well, and sources have revealed that Melania Trump has taken full responsibility for the decorations of the White House this year. In a time when American car manufacturers are deciding against the ongoing employment of the common man in favor of the corporate expenditures of the future, and the retail sporting goods outlets are electing to stop selling what the original sporting lifestyle stood for,(outdoor living), it is comforting to know on some level – at the highest level – tradition and core value is still meaningful. If you look closely at what this administration is doing, you will see a reflection of the Americana ambiance that has permeated this culture for the past several decades, if not centuries. The red Christmas Trees, blue silver and gold decorations, and the garland, holly, wreaths and tinsel all bring to mind a simpler time. A time that creates the same nostalgia in the heart and soul that is somehow reminiscent of the military surplus tents and equipment that is inspiring in much the same way. As we head out of 2018 and into 2019, we do so with the understanding that the old days are slipping from us as quickly as the generation that has tried to keep it alive. The new generation keeps track of time and days much more stringently than any generation ever has before as it seems that the closer one watches the clock tick by, the faster it seems to go. If you get a chance to watch traditional holiday favorites this year such as It’s a Wonderful Life or A Christmas Story, make sure that you do. It won’t be long until these old favorites become despised antiques that will occupy the same place in the hearts of this new generation as your grandpa’s old army tent. Have you ever been in a survivalists dire straits? I’m not talking about the British rock band, but instead I’m speaking of, as Merriam-Webster puts it: “In a very bad or difficult situation”. Dire Straits works like this: Imagine that you are on a five days fishing trip on Loon Lake in the North Woods of Maine. On the first day, as you are kayaking north along one of the many tributaries, you are suddenly overturned by a young cow moose who has ventured out into the lake for reasons known only to young cow moose, and your bungee strap, (which you had just unlooped to retrieve your camera to take a photograph of a different cow moose who was also swimming in the stream), snags around the moose’s neck and she swims off with your kayak, bedroll, rifle, and pack. You are left with your camera in one hand, (water soaked), and your kayak paddle in the other. It suddenly occurs to you that the last time you checked your GPS, you were 15 miles from your truck. You, my friend, are now in Dire Straits. I like to kill two birds with one stone. So, if I’m trying to make my way to my car, and if I know I have to travel along a stream, I will generally travel at night and walk in the stream. I do this for several reasons, not the least is so that I can hunt while I’m traveling. 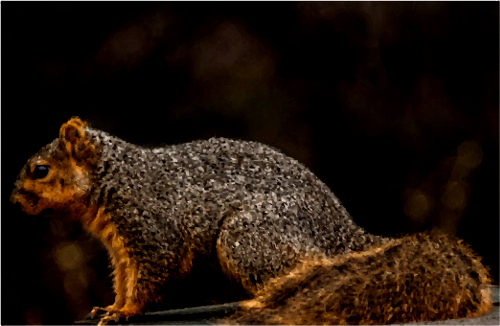 For some reason, I’ve always found that animals such as frogs, muskrats, raccoons, and waterfowl – creatures which are active at night – are more susceptible to hunting because they don’t expect danger to come from the middle of the stream, they expect it to come from the forest. A homemade two prong spear, or gig is my tool of preference for this type of hunting because it’s easy to make and works great for frogs and fish if you drive them into the mud to hold them there until you can grab them The trick is to wedge them into the “V” of the spear. How good of an outdoorsman are you? Can you tell the difference between a cat and a dog? Watch this video! Watch it closely because it has caused controversy in the social media world. It actually made me a little sad to watch this because it tells me a lot about how far away from nature most people are today. I will say that I had the mystery solved in approximately 3.5 seconds and it only took me that long because the boy had brought me my coffee and I had looked up to indicate my thanks. What threw most people off I suppose was that very cougar like tail that this dog has. However, that is where the similarities end on this. Here are three reasons why you should have known this is a dog and not a cat. The way it’s acting. Cougars, even captive ones, are very wary of people and they actually don’t seem to like people at all… ever. So the fact that this canine comes sauntering into the picture nonchalantly, as if there my be a Snausage® to be had somewhere, is very telltale.
. Those ears. Anyone who has ever paid attention at all will take note of the fact that a catamount, cougar, mountain lion, etc… has rounded ears that tuck back close to the head, (to keep them out of other animals mouths I’d assume). This animal has ears that stand erect and are as pointy as stilettos… Italian stilettos. The gait that it has. How many of you know that dogs are diagonal walkers and cats are lateral walkers, (for the most part at least)? What I mean is the difference between a trot and a pace if talking about horses. Cats usually move both feet forward on one side at the same time, (lateral walking or pacing), while dogs usually move opposite feet forward diagonally at the same time, (diagonal walking or trotting). Studies have shown that they do this to prevent their feet from colliding in the event they need to move quickly to avoid danger or subdue prey. I have been assailed lately by health food nuts. My wife, for instance, has gotten onto this grassfed beef movement. Well, that’s all well and good, and the fact of the matter is that I can see the intelligence in eating food that has been prepared in accordance with the plan of the One who created it; however, that doesn’t mean that the schemes of man can’t sometimes be beneficial, especially in a survival situation. And so, it is this humble survivalist’s opinion that you should take the time to throw a couple of bags of corn or potato chips into your bug out bag, because they actually come in quit handy for certain situations. Here are three prime examples of times when you will be glad you have them and some practical uses that you can put them to. Not to mention that they are cheap and easy to come by, at least in this day and time. 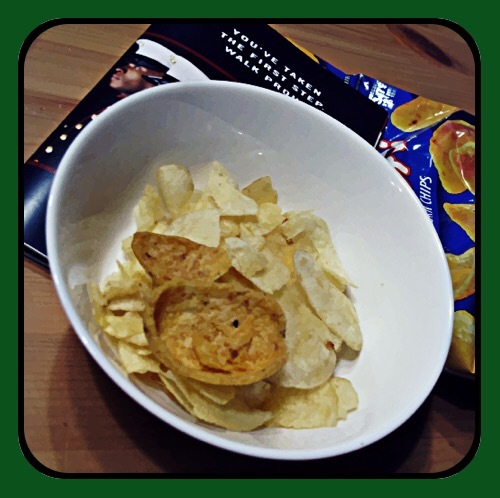 ♣ Prepared chips are highly caloric and high in carbs. If just taken at face value, and used for nothing more than a prepared and individually packaged food source, these small bags of chips are excellent for short term survival needs. They are salty and filling and will give a much needed burst of energy and warmth by their very nature. Not only is that salt beneficial to you, but it is also attractive to other creatures of the wilderness and is therefore beneficial for use as bait. This has been one of the most confounding aspects of survival that I have experienced whenever I have tried to lure game into a trap or ambush area, finding a bait source that would attract them that wasn’t available somewhere else. ♠ They are highly flammable. In a survival situation, this is much more exciting than it might seem right now, especially if you are caught in a rainy or foggy environment. They are also waterproof while they are sealed in their bag; however, I would recommend that you open them under cover if you plan to use them as a fuel source for a fire. Ok, so this wasn’t nearly as easy as I thought it was going to be. To be honest, though I am in very good shape, I am in terrible shape for kayaking and I much underestimated the flexor muscles necessary to keep this tippy thing above water. Therefore, today I am sore and, (I know from experience), tomorrow I will be REAL SORE! That is okay though because I really learned a lot from this endeavor. And I really had a good time. Despite living a life fraught with danger and adventure, I have never been kayaking before. I have spent hours and hours canoeing but the two aren’t really alike. Kayaking for the purpose of photography, too, added a dynamic to this experience that makes it like no other endeavor, and since the purpose of this writing is to give advice on kayaking for photography, here is what I have learned from my first try. Use that launch at the marina. I took the path of naturalism for my first trip and I found out that the path of naturalism involves two things: water and filth. There’s nothing like flinging wet lake scum across your camera lens while flipping your legs into a kayak from the water’s edge that will make you squirm and squeal maniacally. Although it’s doable in a pinch, there is a very convenient launch at the marina that offers you the opportunity to insert and extract easily with very little water and no lake scum involved. Lose that tripod! Though it seemed like a good idea at the time, I am better off using a handheld camera because the kayak is in constant motion. Just… no! put the camera around your neck and shoot by hand. You can keep the tripod with you for the chance that you might pull up to shore and get a shot from the land, or from a submerged log. Use your rivets. Remember the nifty watertight containers that I gorilla glued to the kayak? Well, it doesn’t hold. So there is a reason that most things end up getting pop riveted for marine purposes. In our next installation we will look at some of the improvements I’ll make to the improvements I made initially and we’ll give her another try… stay tuned. 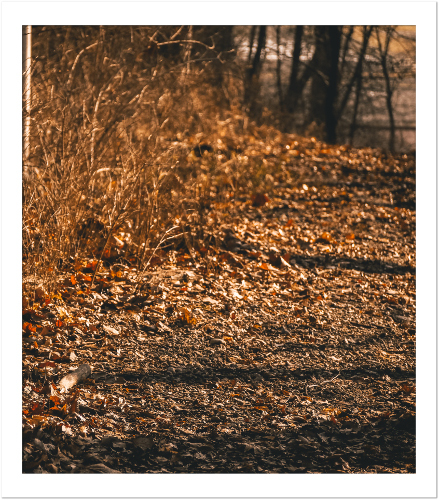 I have recently grown weary of walking the same old trails and driving the same old access roads looking for fresh game and new scenery for my photography. Consider costs and find the best deal out there. Now, I don’t mean just finding the best deal on a kayak, although I do mean that as well, but consider what kind of risk you will be putting your equipment through before you get started. I have several expensive cameras and lenses. The first thing I did was go to my agent and add some extra insurance to my equipment. I also got online and looked for some inexpensive but useful alternatives to taking my best stuff out there. 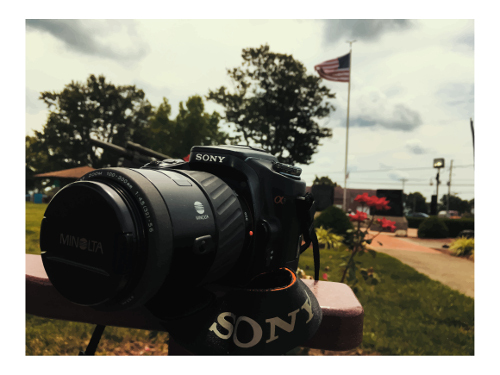 I found a Sony a100 on a popular repurposing site online for $37. It’s only 10mp, but it takes legacy Minolta lenses which are extremely cheap but very sharp. I also found a Canon SX20 IS which is only 12mp but which has a 500mm focal length, ($24, same site). Both cameras work wonderfully and if they fall into the drink, I’ll be disappointed but I won’t sob uncontrollably for several days. Learn your equipment. Go to the local university and find out where the outdoor pursuit center, and get some safety training. The last thing you should want to do is get drowned while trying to get a couple of photographs. In upcoming posts, I will take you through the process of acquiring kayaks and equipment requirements to start using them for photography expeditions… stay tuned! If you are a survivalist, prepper, concerned parent, or just a crusty old veteran of this human race, then you have probably been indoctrinated into the concept of human tragedy and world destruction. It is a common theme from many different sources of history, primarily because it has been a problem in the past. As survivalists, we all realize on some level that we are terminal in our existence. What that means is that we are all going to die at some point. Bad thoughts, I know, but true. The difference between us and others is that as survivalists we will do everything we can to fight and scratch our way into an extension of our existence. This is the same mentality that others before us had and which we all hope to convey to our offspring. So here are three things you need to keep in mind in relation to surviving the coming apocalypse wether it comes in the form of the flu or something else. Stay away from people. As the Ol Tracker has said in the video that I linked here for you to peruse, people are going to be the conveying device of any pandemic which accosts the population. Just as in the days of old, the “sheeple” who make up the herd are the ones who will bring down the herd, some of them with their very breath… it is those of us who stand outside the herd, the strays, that will escape this calamity. Watch the news. In other words, PAY ATTENTION! You shouldn’t be such a hermit that destruction creeps upon you while you are completely unaware. Watch the news, read the paper, get on YouTube on your phone, but don’t let the pandemic catch you at unawares. Get prepared. What I mean of course is get supplied right now. Shelter, water, fire, and food are what you HAVE to have to survive according to the Old Tracker, TBJ himself. Get supplied with those elements right now so that you don’t have to scramble WTSHTF.